Sometimes it happens, a band releases a magnificent album out of the blue and then just disappears off the grid. Binah did it with their first album; “Hallucinating in Resurrecture”. When bands like this keep focussing on quality over quantity, they usually manage to keep this same level. 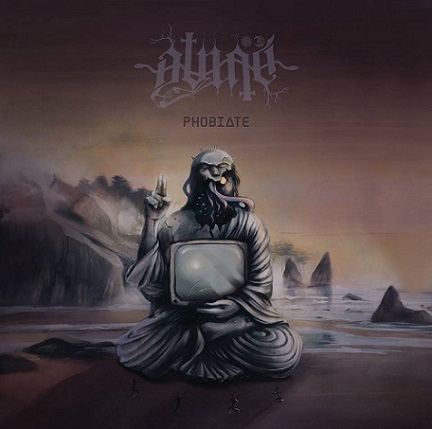 Six years later they drop their second album “Phobiate”, just as unexpected and under the radar. This band plays Old School Death Metal in the vein of the Swedish sound, although they are from the United Kingdom. Now I know what some people are thinking, isn’t this sound a little overdone these days? Even as a diehard fan of this particular soundscape I can see where some people are coming from. Binah does not confine to any trends in metal these days though. The riffs are incredibly strong, raw and unpolished. Fortunately there is a big portion of bass and HM-2 in their sound. Their sound is truly authentic, and by no means forced or duplicated from someone else. Which is kind of an accomplishment in a genre that’s been around for so long. The weight of the riffs even leaves space for a whole landscape of thoughtful writing. The riffs and solos just naturally flow, and nearly every note hits the right spot. Especially on “Transmission from Beneath”, which is an instrumental song. Something I noticed about instrumental metal songs is that the absence of vocals leaves room for more explicit guitar work, which is confirmed by this song. There are some very slow and tension building tracks, with massive chugging riffs, as well as faster and groovier songs. All of them are incredibly hard-hitting, relentless Old School Death Metal.